Bleeding and cracked skin. 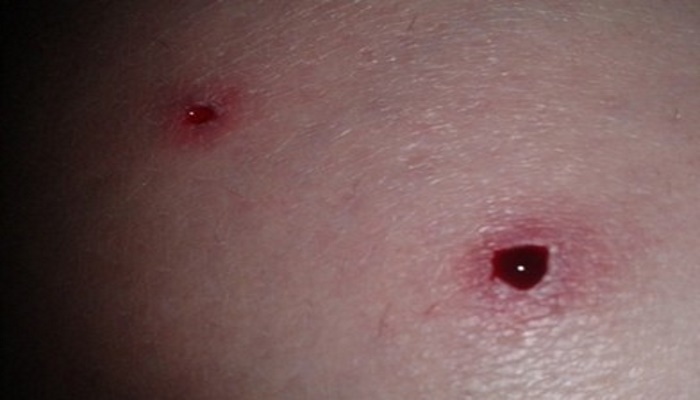 If you already have one of the signs mentioned above probably, you would not avoid an experience of bleeding skin. Mostly you might experience dry and cracked skin in areas around your hairline and neck. You must get a cure in short time otherwise the marginal dryness induced by psoriasis can provoke bleeding and even cicatrization if not treated. Swollen articulation. Psoriasis tends to affect not only the patient’s skin but also the joints. In autoimmune disease, the patient’s joints can be swollen, swelling forms around them. Often the patient feels pain in the joints, which hinders his movement. Such disease is called psoriatic arthritis. Timely medical care can prevent the progress of this psoriasis symptom.